We are known as a reputed entity, providing a broad range of Neem Wood Comb. Further, patrons can avail these products in varied designs at nominal prices. On offfer is a wide range of combs made from natural wood like teak , rosewood, etc. that are extensively used for haircare and styling . Shown here is a handle l comb for smooth combing . The wide teeth structurally provide for detangling . 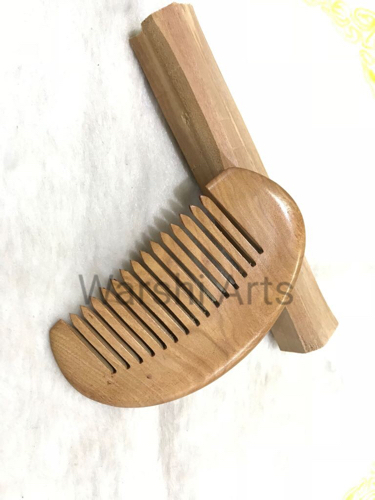 We are highly reputed company for providing quality Neem Wooden All Purpose Comb which is highly demanded by the customers. We are manufacturer and suppliers of high quality wood comb made of neem wood. 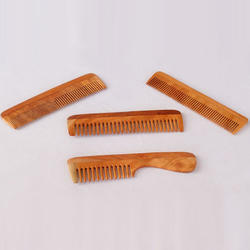 Neem wood comb are excellent for controlling hair loss and dandruff. We supply this product to almost 100 countries in the world.